Photograph of the bridge surface. Train tracks and washout below the bridge. Train tracks and cracked wall below the bridge. Aerial view of bridge scan data. Road surface view of point cloud. Track view of point cloud. Point cloud of washed out area. Render of North East side of bridge. 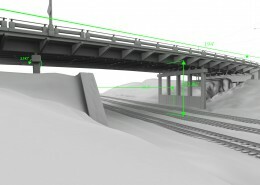 Render of intersection with measurements. 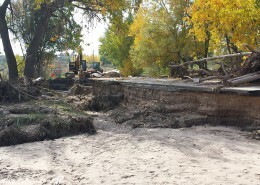 Lower view of bridge showing measurements and washout area. 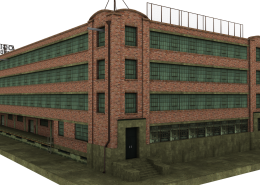 Aerial view of 3D model. The Murphy Viaduct is located in downtown Shreveport, LA and is scheduled for repair in the near future. Landpoint was on site to create detailed models, topographical survey control, and construction support information for engineers. This heavily traveled bridge has seen large amounts of erosion which has carried a large portion of earth away from the foundation on the viaducts east side, as well moving some of the exposed support columns. The west side support wall also has a large fracture through the foundations walls middle section. To download a 3D Simulation, 3D PDF, and access design documents for the bridge click the button below. 28 days for registration, modeling, and animation. 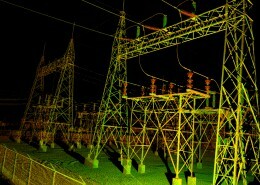 Deterioration mapping, construction support diagrams, 3D PDF, animation, and measurements.